Simply amazing with a bit of edge. As soon as I heard the news about two dudes from Saturday Night Live being the hosts of the 70th Primetime Emmy Awards, I reached out to my BFF Google to see their work and came away totally unimpressed. So I wasn't expecting much from them...and clearly neither did NBC. Besides their dry opening monologue, they were hardly there. In fact, they weren't even in the opening number! Whatever. Also, I didn't care much for the way the awards were presented: show the nominees then announce the presenters who come on stage to do some dry comedy bit before ripping the envelope open to reveal the winner. Nah, homes. 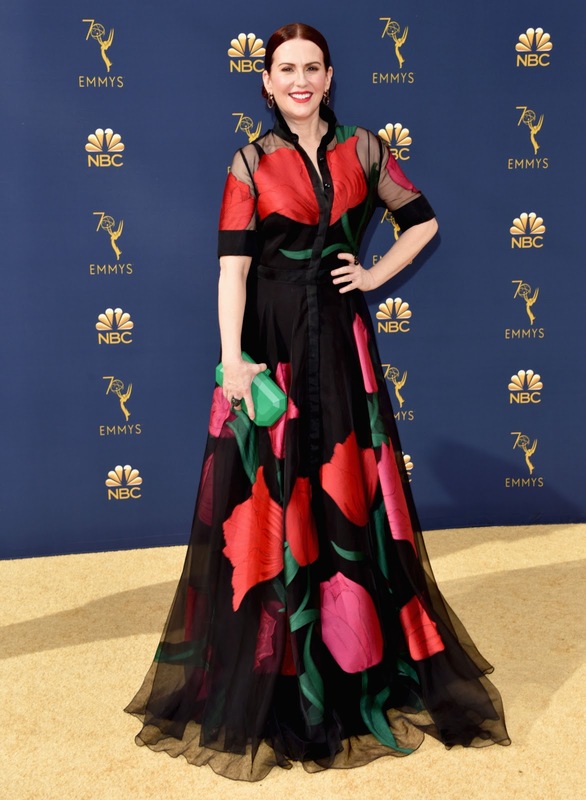 Before getting into the fashun, congratulations to Henry Winkler (his first Emmy win at 72), Regina King (I'm still convinced the committee is making up for totally ignoring her fantastic work on SouthLAnd because while she did a good job on Seven Seconds, the series totally sucked), Game of Thrones, The Marvelous Mrs. Maisel, Rachel Brosnahan, Alex Borstein, Peter Dinklage, and Matthew Rhys (gotta remind myself to watch the final season of The Americans). ...Madeline is quite the fashionista. Like the twist of it being a jumpsuit. 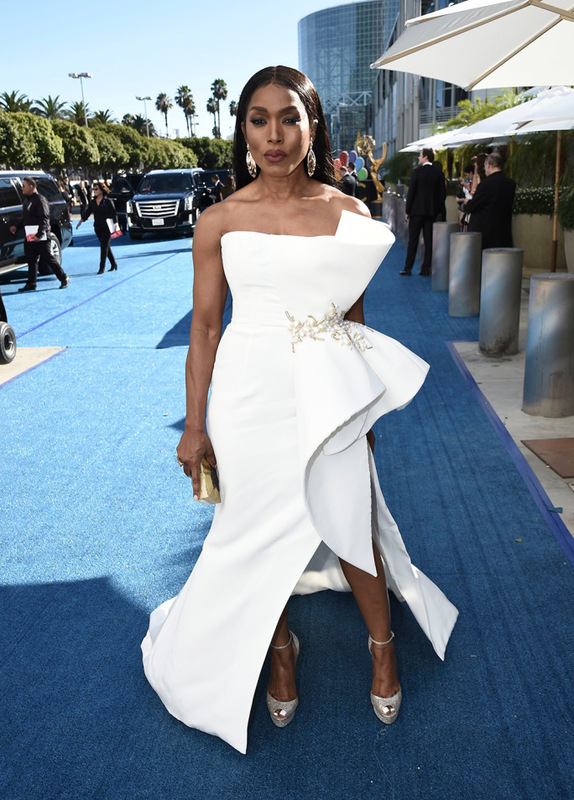 She's getting slightly better on the red carpet. Wished the length was floor length. Apparently Megan bought this dress in a store. Well, great eye! Because it's beautiful. Me want in my closet. I despise the skirt. It's like when fashun goes wrong. However, she's on here because Keri takes her darky, moody fashun seriously. The hair, makeup, and top are all on point. Will never like this particular hairstyle or wide leg pants that drags on the floor. 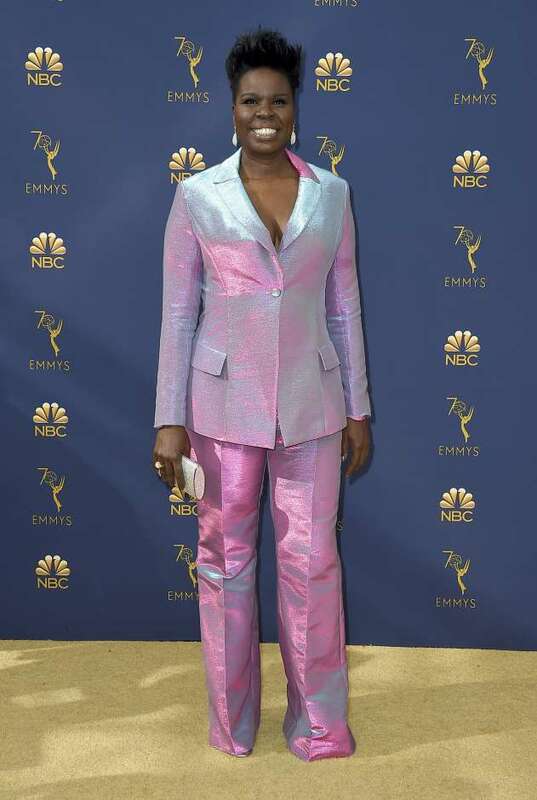 However, I'm really responding well towards this iridescent pant suit. Loved when she and RuPaul catwalked on stage. When these kids get older, I get all sentimental. That's how I was with the Modern Family kids. Like the tiered skirt, not so much the top. Anywho, it's Fall TV time! No new shows have caught my attention, as of yet. I'm just here to proclaim the good news of The Good Place being back on my TV screen. If you're not watching this beyond funny show, I mean, the hell fork are you doing?